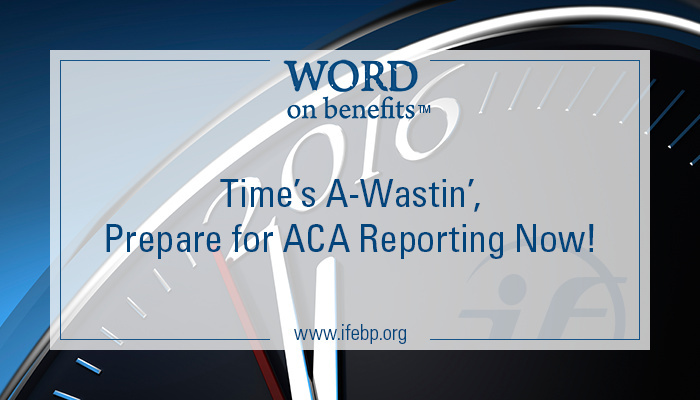 Time’s A-Wastin', Prepare for ACA Reporting Now! 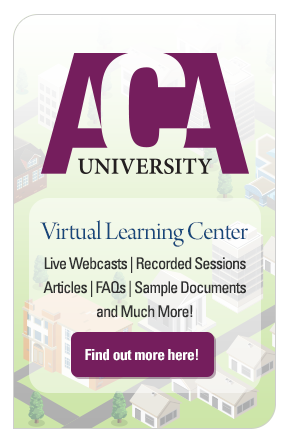 Time’s A-Wastin', Prepare for ACA Reporting Now! On a beautiful summer day, January seems like a long way off. When you’re talking about an employer’s duty to report health care coverage information using Forms 1094 and 1095 under the Affordable Care Act (ACA), nothing could be further from the truth. The January 2016 deadline is staring us in the face. And, if you plan to hire a vendor for help, your options are quickly narrowing. Section 6056 of the Internal Revenue Code (IRC) requires large employers (50 or more full-time or full-time equivalent employees) to report annually to the IRS the terms and conditions of the health care coverage they offer to their full-time employees. A statement outlining these same terms and conditions of coverage must be given to each full-time employee. This information is used to verify the ACA requirement that each large employer must offer minimum value, affordable coverage to its employees (the employer mandate). This same information is used to determine if individuals are eligible for tax credits/subsidies when buying coverage using the health insurance exchanges. IRC Section 6055 requires self-funded health plans and health insurers to report annually to the IRS the names and Social Security numbers (SSNs) of each of the employees and dependents who received minimum essential health care coverage and which months of the year they received that coverage. Also, each employee who signed up for the coverage must be given a statement saying he or she received minimum essential coverage. This information is used to verify the ACA requirement that each individual in the country must obtain health care coverage (the individual mandate). Both types of statements to employees about their 2015 coverage must be completed and distributed by the end of January 2016. The reports to the IRS must be submitted by the end of February 2016 for paper filing and March 2016 for electronic filing. This is a daunting amount of information gathering, organizing and reporting that must be completed within the next six months! Many employers are turning to outside vendors (such as payroll processors, insurance brokers or administrators) to help them meet these requirements. However, the demand is so great and the time frame is so tight that some of the most established, well-known vendors are turning away clients who have not already contracted with them. Other vendors are limiting the number of new clients they will take on, and still others are increasing fees each month as the deadlines get closer. (Examples are mentioned in a Lockton blog.) New vendors have seized the opportunity to fill the void, but they may require careful vetting if they do not have a proven track record doing similar work. The final forms and instructions for this reporting requirement were finally released in September 2015. That means there will be a small window of time for employers and vendors to set up and test the forms in their online systems and enter all the relevant data before the deadlines. If you do not have an action plan in place, don’t wait another moment!